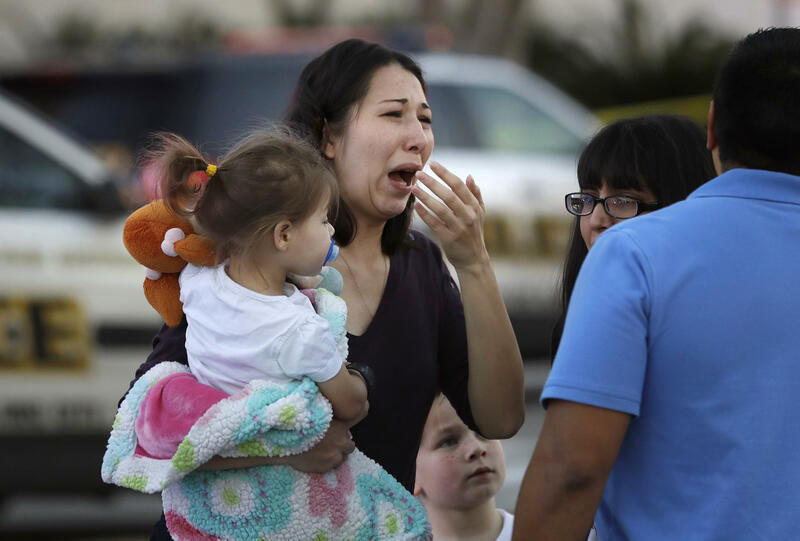 SAN ANTONIO -- A robbery inside a San Antonio shopping mall ended with shots fired on Sunday, leaving one person who tried to intervene dead, three others shot and another two people taken to a hospital with non-shooting injuries, police and fire officials said. Police Chief William McManus said two suspects robbed a jewelry store at the Rolling Oaks Mall on Sunday. “What we have here is a robbery gone really, really bad,” McManus said. After the suspects fled the store, a man, described by McManus as a “good Samaritan” tried to stop the two men. One of the robbers then fatally shot the man, McManus said. A second individual, who was carrying a licensed concealed weapon, then shot and wounded the robber who had killed the person who intervened, McManus said. McManus called the fatal shooting “absolutely senseless.” The victim’s name was not immediately released by authorities. The other robber fled the mall, firing his weapon and injuring a man and a woman. These two individuals, along with the injured robber, were taken to local hospital, said San Antonio Fire Chief Charles Hood. Two other people -- a woman who complained of chest pains and a pregnant woman who had labor pains -- were also taken to local hospitals, Hood said. The condition of the people who were injured in the incident was not immediately available. McManus says police are still looking for the other robber who is believed to have left the mall. “We searched the mall and we feel as confident as we can feel that the suspect is not in there,” McManus said.